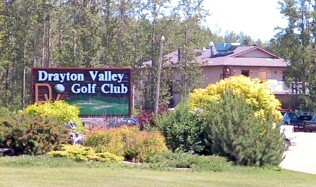 The Drayton Valley Golf and Country Club is a full, 18-hole course with a Par of 71. The in-house golf pro would be pleased to give you pointers. He can be found at the Pro Shop. Only five minutes out of town, the Drayton Valley Golf Course offers rentals, a practice putting green and a licensed restaurant. This course is quite forgiving in its layout, featuring broad fairways and large, rolling, bentgrass greens. However, golfers might experience some difficulty maneuvering around the large water hazard that crosses the 3rd and 4th fairways. Some care is also required to avoid the thick growths of birch and spruce that line most of the holes on the course. Drayton Valley’s most difficult hole is also its longest. The 554 yard-long 14th hole requires the utmost accuracy off the tee to hit the landing zone, which is trapped between a small pond and thick trees. This opens up to a narrow fairway with trees on either side, making a hook or slice very costly. 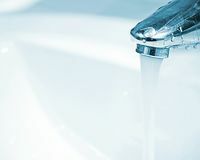 Golf course amenities include a snackbar/coffee shop, tee-time reservations and rain checks, club, pull-cart and cart rentals, junior rates, indoor and outdoor patios and barbecue facilities. After your round, make sure to take advantage of the course’s fine restaurant. Public tee times are from dawn to dusk, seven days a week from April to October. A dress code is always in effect. Soft spikes only, please. They accept MasterCard, VISA and Interac. Karen T’s Breton Golf Course (30 minutes east). For more information on these golf courses, check out the Brazeau Regional Tourism website at http://www.brazeautourism.ca/.